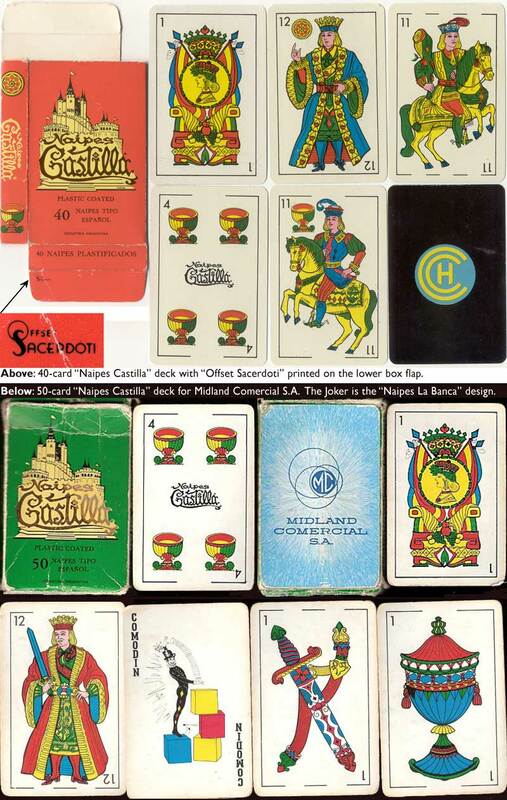 Right: the design of the logo on the Four of Cups is updated around 1945, around the same time as the address changes from Sarmiento 1537 to Florencio Varela 542, Bs. Aires with a new telephone number. The Ace of Coins and court cards have been re-drawn although the Four of Cups still retains the original Art Nouveau logo. At some point this logo was replaced by a more simplified design (c.1945) which must have been thought to be more fashionable. 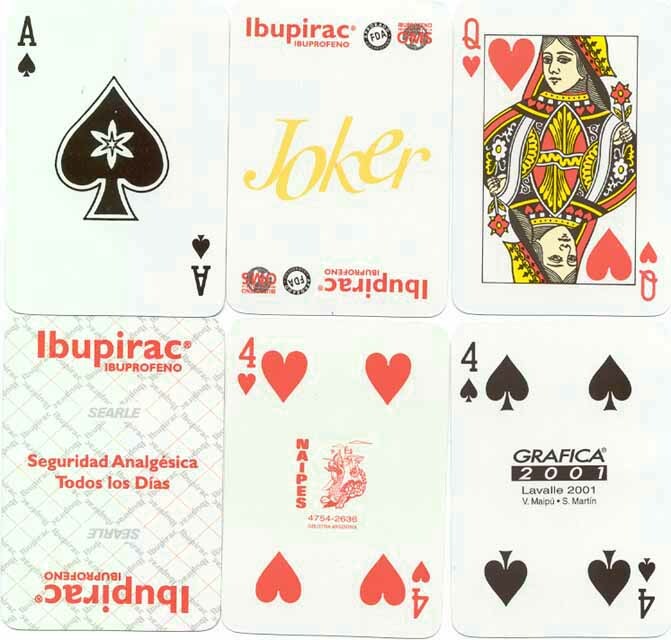 The court designs closely resemble those of Luis Fourvel, and are based on Catalan-type cards made in Barcelona. The company name and address can be read as: Orestes A. Cappellano, Sarmiento 1537 and then Orestes A. Cappellano de Jorge C. Oneto, Florencio Varela 542, Bs. Aires. 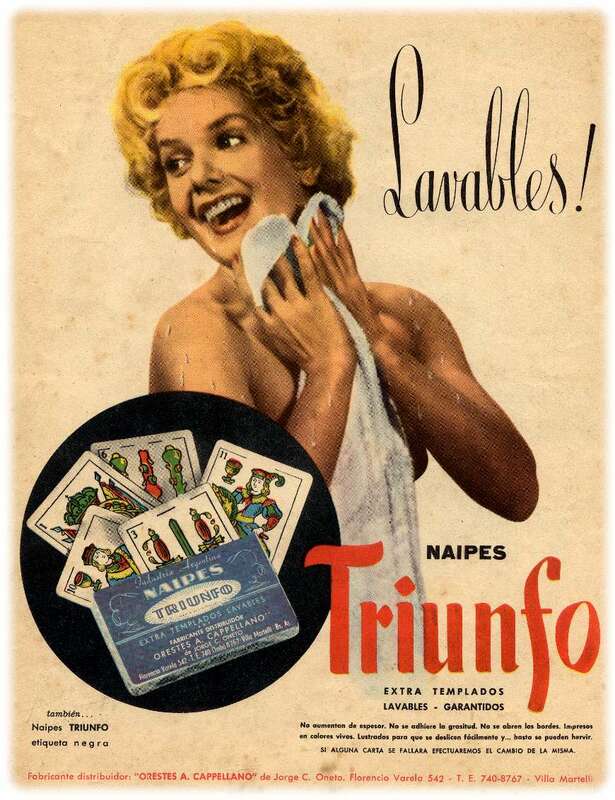 Above: four cards from 'Naipes Triunfo' made by Orestes A. Cappellano, c.1940-45. 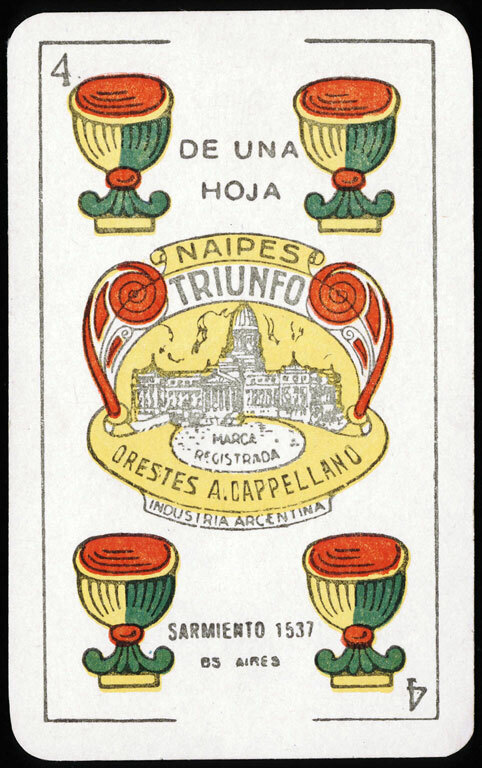 The Four of Cups has the old-style design logo with the legend 'De Una Hoja' and the earlier address at Sarmiento 1537. The King of Cups' sceptre has a small sphere at the top which disappears in all later editions. 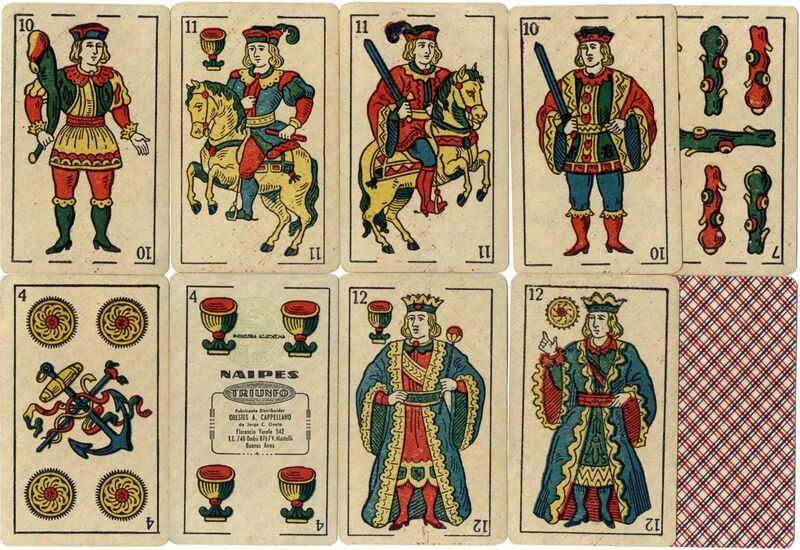 Above: cards from 'Naipes Triunfo' made by Orestes A. Cappellano de Jorge C. Oneto, c.1945-55. The Four of Cups has a new logo design and gives the manufacturer's name and address at Florencio Varela 542. The legend 'De Una Hoja' has been replaced by 'Industria Argentina'.